Walker Zanger is the world's leading luxury brand in the stone and tile industry selling handcrafted artisan ceramic tiles, terracotta, stone mosaics, slabs, glass tiles, inlaid decorative stones, and metal tile accents for 60 years. 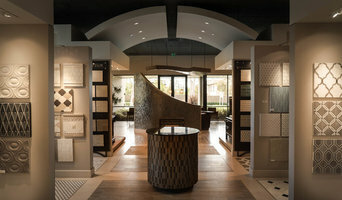 Our beautiful Tustin showroom, located in Orange County, showcases our ceramic and stone collections in an inviting and luxurious atmosphere. Our experienced Sales Associates are dedicated to providing you with a superior service experience. If you can dream it up, we can make it a reality! We specialize in all types of tile installation and countertop fabrication including custom patterns and we guarantee 100% satisfaction with our quality products and services. If you have a kitchen, bathroom or any other type of tile or stone project, call the experts at Perimeter and get the very best! See for yourself why so many clients keep coming back and refer all family and friends to our company. Meraki Group has what you need to add that luxury touch to your indoor or outdoor tiling needs on a domestic or commercial level. As an importer wholesaler, distributor and now retailer for Meraki Group stocks a broad range of products such as Marble tiles and slabs, Limestone tiles and slabs as well as many other types of natural stone such as: Granite, Travertine, Bluestone, Engineered stone, Laminated Stone and Sandstone. We also stock a wide range of Porcelain tiles and Ceramic tiles. We have it all in a variety of sizes and finishes not to mention an extensive range of Wall Cladding, Mosaic tiles and Cobblestone. Mission Tile West is a family owned tile business that has grown from humble beginnings in 1984 to become one of the leading companies in the tile industry today. John and Dina Adamson and their son Thano began the company selling handmade Mexican tile created by Thano’s Uncle Tony. The company continued to grow and added Thano’s sister Tisa as a creative designer in 1997. Today, Mission Tile West owns two different tile factories, three showcase locations, and represents more than 200 manufacturers. Whether you are looking for stone, terra cotta, glass, or unique ceramics, we have it all in one of our three locations. We offer many styles from our different manufacturers as well as a number of styles and designs that have been developed in-house. Our customer service representatives are very knowledgeable about our products and can help you select the right tile for your specific needs. Come in and visit one of Mission Tile West’s showrooms today and join the family. Moda Marble Co is the importer/distributor of marble, limestone, travertine and porcelain tiles. As experts in the industry, we are pleased to offer an extensive selection. Moda Marble Co has catered to all tastes in residential and commercial design. We have held true to our promise of providing reputable knowledge, exceptional service and vast design choices for designers, architects, homeowners and contractors alike. We invite you to come in and see for yourself the wide product selection available.You will personally discover stunning surfaces you won't find anywhere else, and see your vision come to life. Our talented staff comes equipped with creative and knowledgeable advice. They are always prepared and happy to provide design assistance to both homeowners and design clientele. See your vision come to life at Moda Marble Co. Established in 1983, Décor-N-Tile has a beautiful showroom filled with unique design ideas for kitchen, bath and floors. Our showroom offers plumbing, shower doors, metals and glass accent tiles, as well as solid surface counters. Let one of our expert design staff help you realize your dream bath, kitchen or unique flooring design.